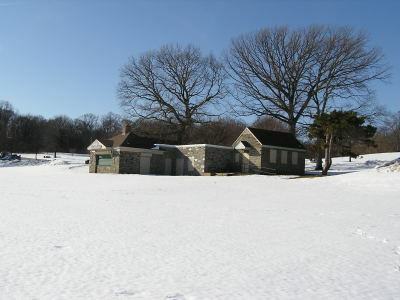 From 1963 to the early 1970s, Belmont Plateau went thru a number of changes, but the original layout of the high school and college course remained the same. The high school courses (started at 2.6 mile and eventually became 5,000 meters) ran the outside Loop (up flagpole hill, around the perimeter of all the lower baseball fields), the Inside Loop ( trail , up parachute hill, down suicide hill, and trail) and repeat the outside Loop again. The College 5.2 miler ran the Outside Loop , Inside Loop, back Dark Road , thru the tunnel, up Surekill Hill, to the Meadows, back trail to Nursery Hill and toward the Outside Loop again and Finish after repeating the outside Loop The courses where designed by University of Penn Coach James "Tup" Tuppeny, Jack "The Saint" Saint Clair and Lou Nicastro. Slight changes where made over the years to make the course longer for high school and Surekill Hill Loop was taken out of the college course in the mid 1990s, but for the most part used the same Loop configurations. 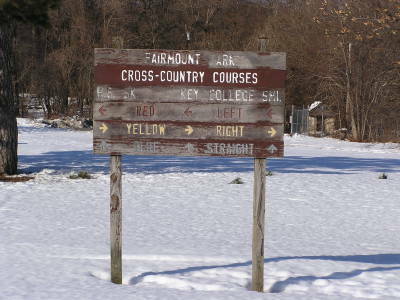 In the early 1970s, The City of Philadelphia added a few signs to aid in turns and directions along with a "Belmont Plateau' sign near the finish line. Most runners who have run since the 1970s will remember seeing the old brown signs that stood the test of time until 2015. In the early days, Blue/Yellow/Red poles where used by cross country runners to inform the runner whether to go straight or make a right or left turn. By the end , the signs where faded and there where even a few years where the length of the course markings where in question because turn posts where sunk in the ground each year. Finish line chute poles were getting all bent from neglect. 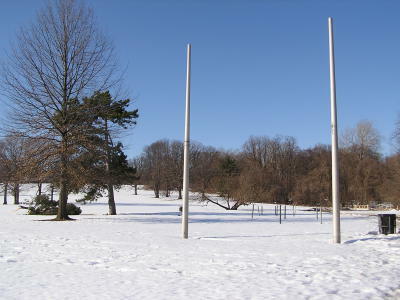 Below is a good example of the Old Cross Country Sign Posts at Belmont Plateau used from the early 1970s to 2015. Something had to be done to bring back some splender to the cross country courses.urses. 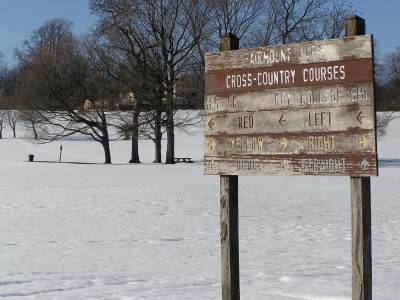 From 1963 to the late 1990s, the majority of the high school, colleges, youth and adult clubs called Belmont Plateau home for their cross country meets. There was even a USA National Championship on the course in 1976 to celebrate the bicentenial. As the years past, the signage and the course was being neglected and in need of upgrading and repair. Erosion and age was taking it's toll on the coursed and the signs had faded to them being non factors for use as course markers. The Surekill Hill trail (the toughest and most memorable hill on the college course) had reached a point where it was neglected and unusable for competition and a new college course was laid out not even including Nursery or Surekill Hill. Some runners where even getting injured from stepping in holes and crevices and brush on the courses was gettng thicker on many of the trails. 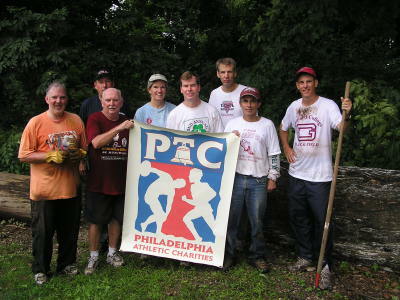 From 2006-2010, Dave Thomas of Philadelphia Atheltic Charties saw a ned and recruited a number of "old time" runners from the Temple and Villanova Cross Country team of the 1970s to have a few "volunteer" days to help restore the old courses. The hearty group of 10 or so "old time runners" came out on their own and manicured the course and event sunk a number of home make posts. 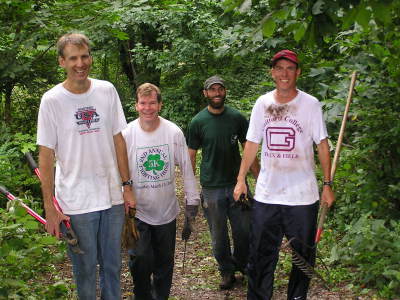 Runners such as Fred Kenney, Mark Gillman, Greg Green, Kyle Mechleberg, John Burns, Diane McManus and others came out to help a few times in the beginning of the season . 80 year old Bill Bellville (Long time USATF Road Course Certifier) made a number of sign and direction posts out of 4 x 4s and the "renegade crew" kept up the signage markings on the course for a few years. 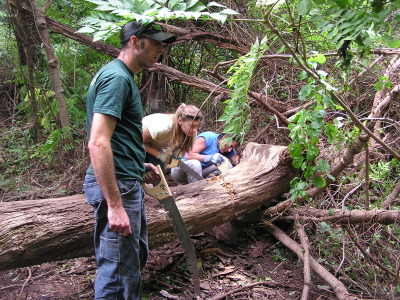 In 2010, Jason Mifflin of Fairmount Park and a crew of Penn State Volunteers, helped clear and old path to bring back the Old Surekill Hill. (later washed out again in 2012). 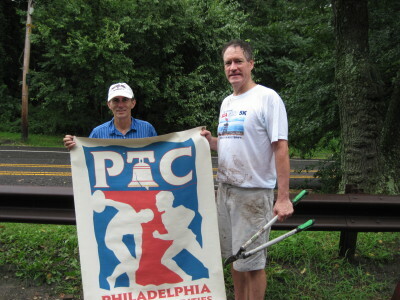 Bill Belville and Dave Thomas received funding from the USA Mid Atllantic Track and Field Association in 2012 to measure and certify the 2k, 3k,4k, 5k and 8k courses Maps and permanent markings where completed in 2012.This start to the restoration was know as PHASE 1 of Project Belmont Plateau. 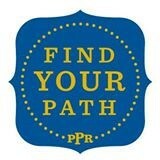 (Note: the rebirth of bring back the "Old Surkill Hill Loop" was short lived. 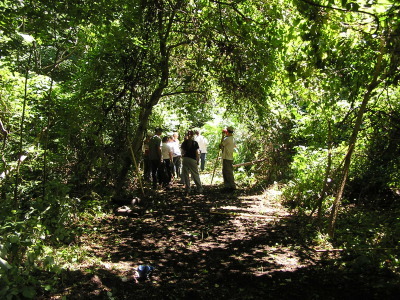 There was a major rainstorm in 2012 which washed out the trail connecting Surekill Hill to the Tunnel. 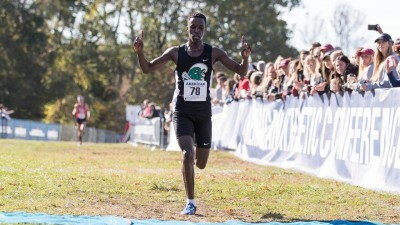 Using the "Surkill Loop" in races was abandoned after the 2012 season and a new 8,000 meter college course was designed using the Flagpole, Parachute and Nursery hills. Possble plans for bringing back the "Surekill Hill Loop" may be in the works for the furute. 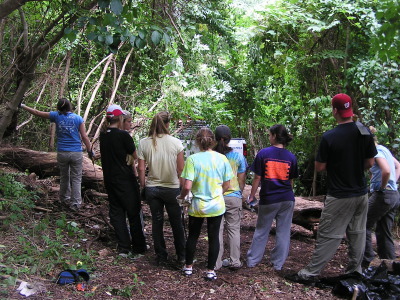 Pictures below of volunteers in the project.hase 1. 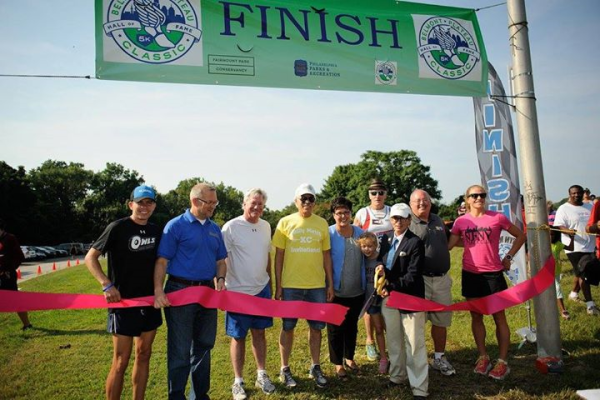 2015 was the first official season using the new signage and updated course maintence to the cross country courses. 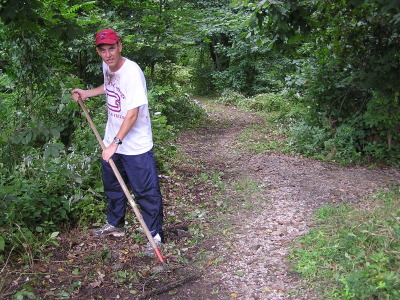 The teams and coaches that use Belmont Plateau were very apprciative of the new improvement to the cross country course. 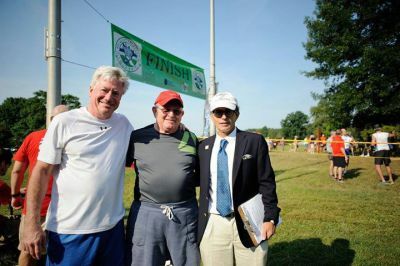 The old time runners who ran on Belmont Plateau back in the 1960s, 70s and 80s returned and those who still run, ran the course and where amazed at the improvements. 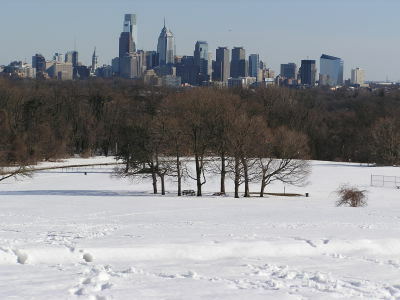 Young and old runners who have competed at the park all agree; Belmont Plateau is one of the premere Cross Country courses in the USA! Phase 3 will now focus on continued maintence and correcting spots on the course that are annually hit with erosion, take out a few trees that will interfere on bigger races, purchase a shed to store race course supplies, and once again we will work on bringing back the Surekill Hill Loop to competition. Stay tuned. 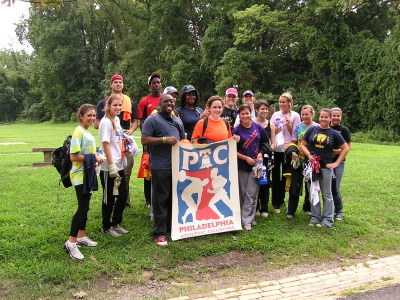 A BIG THANK YOU TO CATHERINE OTT (COMMISSIONER OF PHILADELPHIA PARKS AND RECREATION) AND FORMER DIRECTOR OF THE FAIRMOUNT PARK CONSERVANCY AND JIM MARINO, PHILADELPHIA PARKS AND RECREATION (ALSO RACE DIRECTOR OF THE BROAD STREET RUN AND PHILADELPHIA MARATHON) FOR ALL THEIR HELP IN THIS PROJECT.